Alanda Pike drank half a bottle of vodka on the morning three-year-old Louisa died in the crash. That's all for today from BBC South Live - thanks for joining us! We'll be back again at 08:00 tomorrow with all of the latest news, travel, sport and weather for the region. 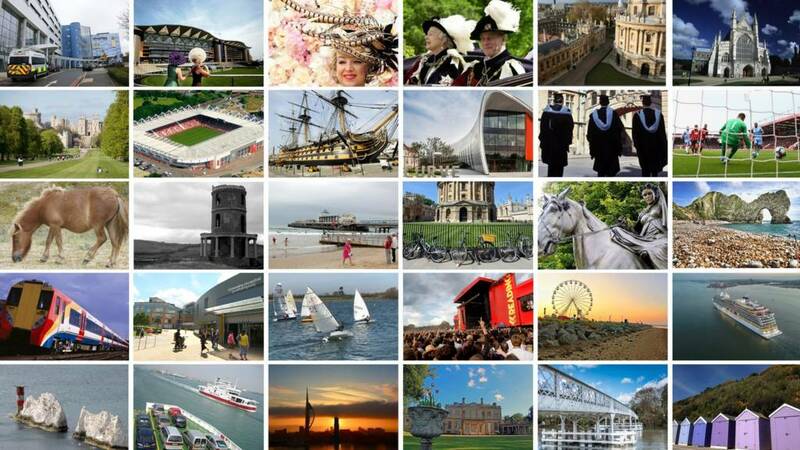 Stay in touch on our Hampshire, Dorset, Berkshire and Oxford Facebook pages, or by using Twitter @BBC_Hampshire, @BBCDorset, @BBCBerkshire and @BBCOxford. A mother has been jailed for causing the death of her three-year-old daughter while driving over the alcohol and drug limit. Alanda Pike, 34, hit a van on the A354 near Blandford, Dorset, on 24 August. Her daughter Louisa suffered head injuries and died the next day in hospital. Yet again we are here dealing with the tragic aftermath of a wholly unnecessary and completely avoidable event that has had devastating effects on all those involved. While no sentence will ever compensate for their loss, I can only hope the conclusion of the legal proceedings will at least bring some comfort to Louisa's family at this difficult time. Bournemouth Crown Court heard a Dorset mother was three-and-a-half times over the drink-drive limit when she crashed her car, killing her three-year-old daughter. 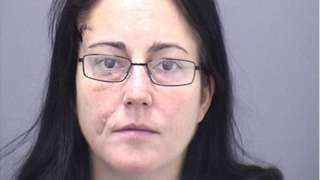 Alanda Pike, 34, had bought a bottle of vodka and drunk half of it after she had picked up three-year-old Louisa from her ex-husband's house in Blandford, Dorset, on the morning of 24 August last year. She had also taken cocaine the evening before. Passing sentence his honour Peter Johnson said Pike had "caused the death of a bright and bubbly little girl through her grossly impaired state". She was given a jail sentence of six years and four months, and ordered to spend at least half in custody. Eastleigh Fire Station is going to be the base of a new hub of elite firefighters who will be trained to deal with earthquakes, tsunamis, terror attacks and mass explosions. There will be 15 specialist vehicles on site and the firefighters will be made up of Hampshire Fire and Rescue Service’s Specialist and Technical Team. They have previously dealt with building collapses, gas explosions and complicated vehicle collisions in the county. Station manager Chris Roper said: "The individual team members have an incredible amount of specialist knowledge in a variety of areas and bringing these together can only serve to make the people of Hampshire safer." The move to the station is expected to be completed next year. A Labour councillor has been told to apologise after a tussle with security staff at last year's EU referendum count. City council cabinet member for housing Mike Rowley was ejected by police after being restrained when he tried to enter the venue. Mr Rowley grappled with door staff for several minutes and shouted: "I am an elected member of this chamber." According to Oxford City Council's standards committee agenda he has to write a "full and frank letter of apology addressed to the town hall and security staff", and a "full and frank statement of apology to the next ordinary meeting of council". A bus company spokesman said they had "always wanted to hit new heights" but not in that way. 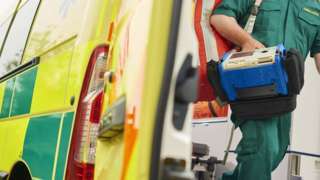 South East Coast Ambulance Service has been in special measures since September 2016. The Rail Accidents Investigation Branch (RAIB) has recommended Network Rail "modify its management processes" after an 83-year-old man on a mobility scooter was hit by a train. Derek Thomas was killed at a level crossing at Bentley, Hampshire, 16:20, on 5 October while taking his dog for a walk. The RAIB said in a report that the primary cause of the accident was that Mr Thomas "started to cross the railway when it was not safe to do so" probably because he was not aware that it was dangerous. 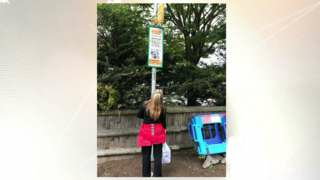 It said the underlying cause was because "Network Rail’s level crossing management process did not take full account of use by mobility scooters". The organisation has made recommendations that include modifying some level crossings to improve sight lines for those on mobility scooters. The upper-section of an 18th century coffer at Blenheim Palace has been opened for the first time in decades. It was designed by André Charles Boulle in around 1685, and is likely to be worth in excess of £2m. It was recently restored and in process the upper section was opened for the first time since a key was lost many years ago. It revealed a series of "secret compartments" hidden behind the hinges and "extraordinary craftsmanship" said Blenheim Palace’s Kate Ballenger. But unfortunately all the draws were empty. The RSPCA is trying to find a home for two rabbits who have been living at an animal shelter for nearly four years. Molly and Quigley arrived at the Reading Rabbit Rescue, run in conjunction with the RSPCA’s Reading branch, a month apart in 2012. The bunnies, both thought to be around five-years-old, have seen 160 other rabbits adopted while they continue to be overlooked. Sandra and Steve Ayers, who run the centre, said: “Molly isn’t an easy bunny to handle and there are so many pairs of younger rabbits who are easier to handle for potential adopters to choose from. A driver has appeared in court charged with causing a crash which killed a man who was riding in a pony and trap. William Gaskin, 33, from Worplesdon, near Guildford, died following the collision in Bursledon, Hampshire, at about 23:30 BST on 26 March. Oliver Wareham, 29, of Rownhams Road, Southampton, was charged with causing death by careless driving while over the alcohol limit. He appeared before Southampton magistrates and is next due before the city's crown court on 24 November. UK businesses and consumers are paying too much for their energy - and more than necessary to help the environment - an independent report has concluded. Prof Dieter Helm, from Oxford University, was asked by the government to examine how to reduce energy costs while achieving climate change targets. He concluded that energy-users should have benefited more from falling costs and technical efficiencies. And he recommended a new default tariff to replace current variable tariffs. New technologies should mean lower, not higher, costs and much greater scope for energy efficiency. Dorset Police officers are investigating a suspected arson in Weymouth and have appealed for witnesses. At about 17:00 yesterday Dorset Police received a report of a fire at a derelict wooden shed at Castle Cove Beach, off Old Castle Road. It is believed the fire was started deliberately and PC Roger Clark said: “Those responsible for this offence put themselves in great danger as the fire caused the whole structure to collapse and it is fortunate nobody was seriously injured. A 15-year-old boy arrested in connection with a suspected drug incident in Bournemouth has been released under investigation.Officers were called by the ambulance service at 22:44 on Tuesday, after reports that a 14-year-old girl had fallen ill on Fir Vale Road after taking ecstasy.She was taken to hospital for treatment and was discharged the following morning.A 15-year-old boy, from Poole, was arrested on suspicion of supplying Class A drugs and has been released under investigation. It is understood that the girl attended a private under 18s party at Cameo nightclub earlier that evening. Although there is nothing to link the drug incident to the party at this time, I would ask anyone who attended and is concerned they may have taken drugs or any parents worried about their child's health following the event to please seek urgent medical advice and report the matter to police. A woman has been jailed for six years and four months for causing the death of her three-year-old daughter while driving over the alcohol and drug limit. Alanda Pike, 34, collided with a van on the A354 near Blandford, Dorset, in August. Her daughter Louisa was airlifted to hospital but died the next day. Pike had admitted causing death and serious injury by dangerous driving and driving with excess alcohol and drugs at an earlier hearing. 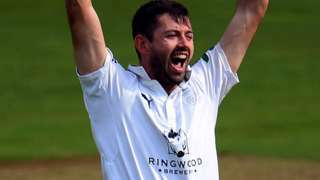 Hampshire all-rounder Ian Holland signs a new two-year contract with the County Championship Division One side. Southampton Airport was closed for a short time over lunch after a fuel leak left a slick trail on the runway. FlyBe says the aircraft is being inspected by engineers and the affected area is being cleaned as a precaution. Some flights were delayed due to the incident which lasted about 25 minutes earlier. A man has been jailed for his part in a prostitution network described as a "sexual conveyor belt". Hong Chin, 45, his former partner Li Wei Gao, 44, and lover Ting Li Lu, 47, lured women to the UK from China, Hong Kong and Korea, jurors at the Old Bailey heard. The women were advertised online and sent to hotels over England and Wales. Chin, from Portsmouth, was given a prison term of four years by Judge Philip Katz QC. Gao and Lu will be sentenced at a later date.